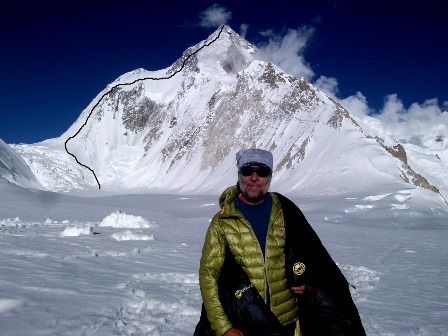 are located at the northeastern end of the Baltoro Glacier in the Karakoram range of the border of Chinese- Shaksgam Valley and the Gilgit-Baltistan territory of Pakistan. 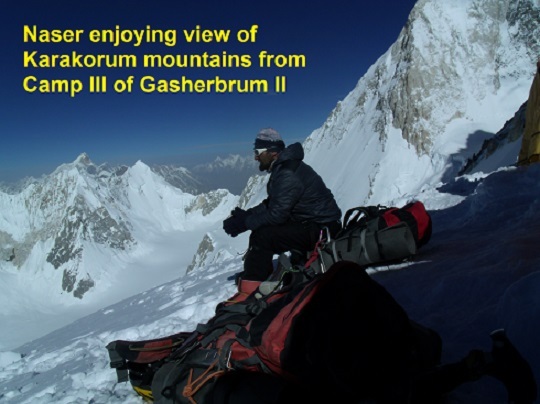 Gasherbrums are often claimed to mean “Shining Wall”, presumably a reference to the highly visible face of Gasherbrum IV; but in fact it comes from “rgasha” (beautiful) “brum” (mountain) in Balti, hence it actually means “beautiful mountain. 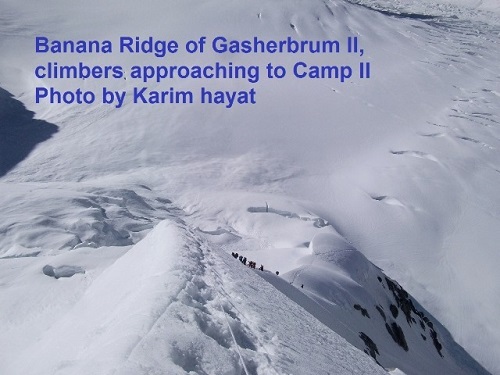 Gasherbrum -II climbed my Austrian team on July 7, 1956, by Fritz Moravec, Josef Larch and Hans Willenpart by the Southwest Ridge. Pax: 5-7 Euro: 5200. Pax 8-12. Euro.4800. Price for GI-GII in Euros. Euro. Pax.5-7. 5400. Pax,8-12.Euro 4900. D-2 Drive to Chilas 10 -11 hours. 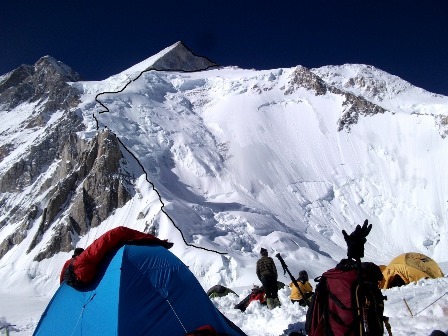 D-9 Trek to Udukas 7-8 hours 4000m, it is the green camp site.